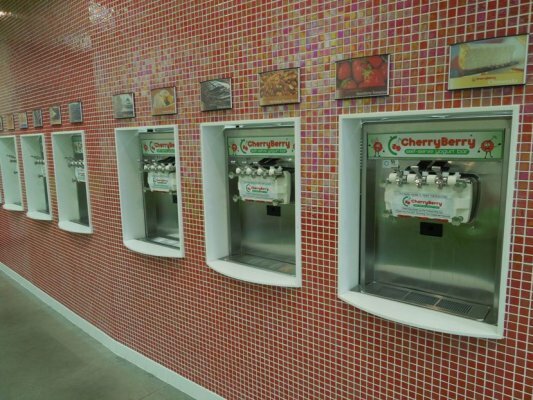 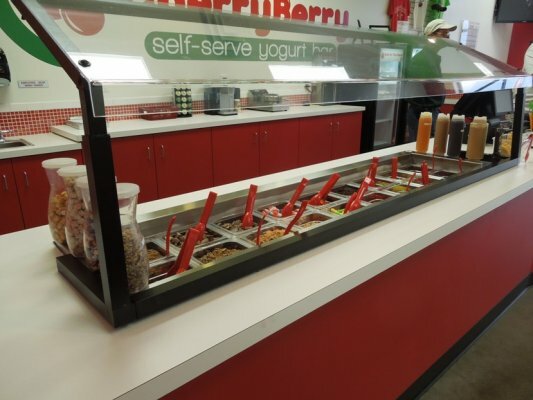 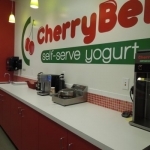 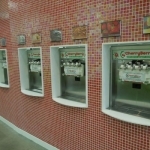 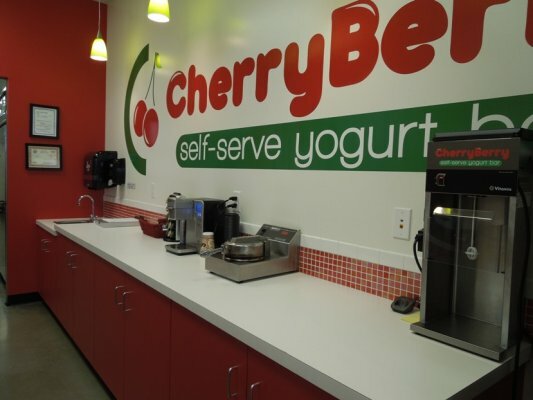 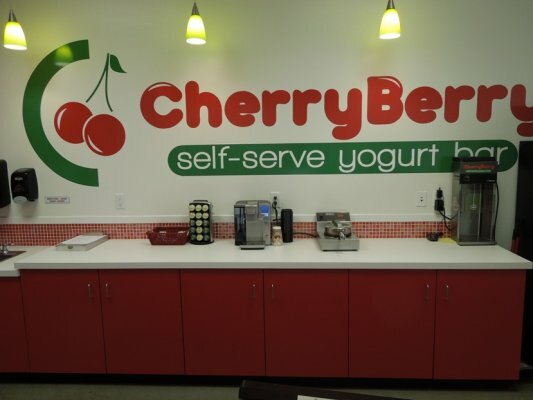 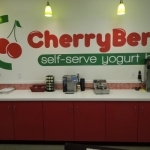 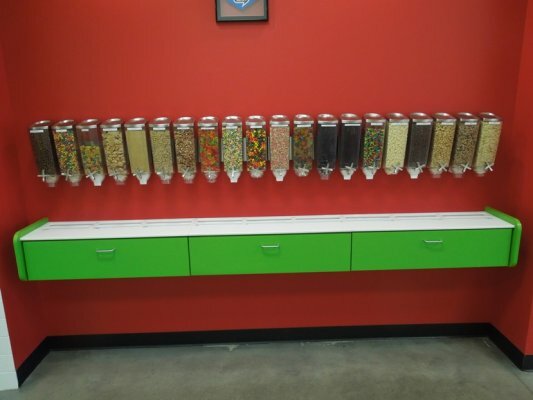 When Cherry Berry found its way to Sioux Falls they had every intention of expanding to multiple locations. 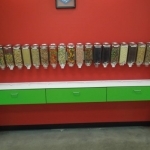 Creative Surfaces is excited to be a part of their growth. 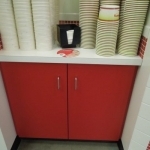 We manufactured and installed this location on eastside Sioux Falls using Wilsonart plastic laminate (Frosty White and Hollyberry) for the cabinets and countertops, and put a clear glass sneeze guard on the toppings cabinet. 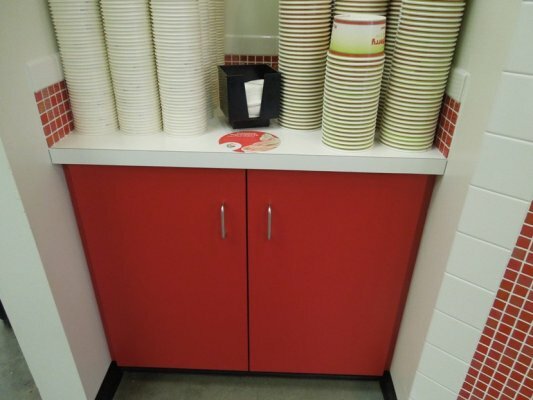 The yogurt dispensers have window frames made with Corian Solid Surface.